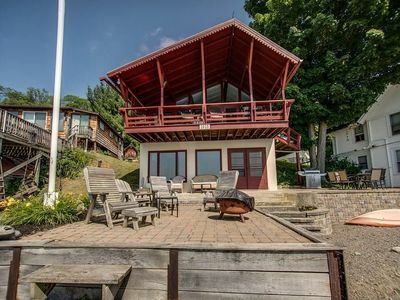 Finger Lakes Cabin with over 200' of Inviting Lakefront! 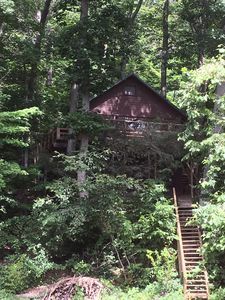 Flee the hustle and bustle to a private, wooded, 6-acre nurturing setting in our rustic wooded lodge-type cabin! 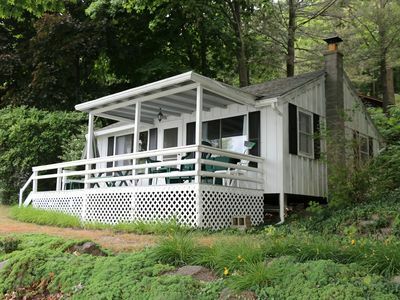 Comes with interior comfort and amenities, enclosed porch with spectacular view, and deck overlooking the lake and beach! 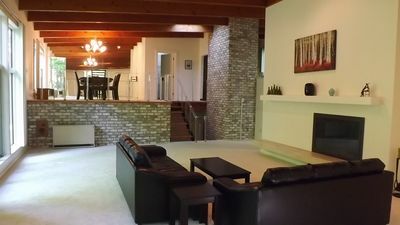 Offering over 200' of wide beachfront which affords sun or shade! 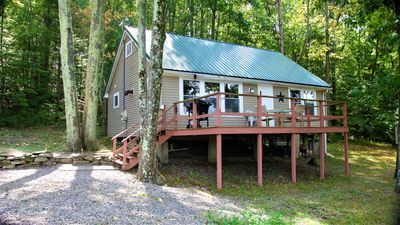 Includes dock, 14' aluminum rowboat, gas grill and picnic table. 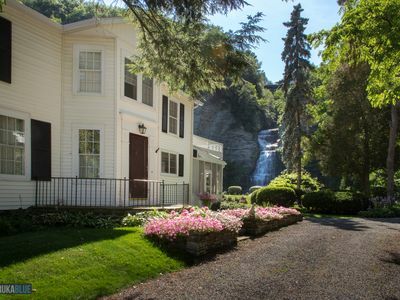 Stay on site or venture out to the many renowned Finger Lakes wineries & breweries, quaint villages, or a terrific selection of lakeside and area restaurants! 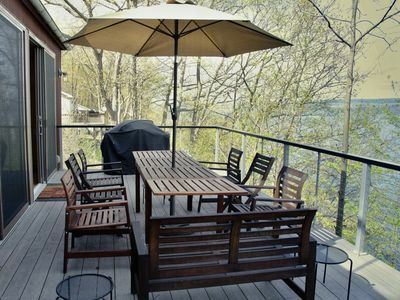 Cottage is perched midway between the road and lake to combine privacy with an expansive view of the lake. There is something for everyone! Ideal for watersport lovers and solace as well! Relax while watching the herons! The water's drop-off is quite gradual except for a steeper drop-off at the base of the stream. 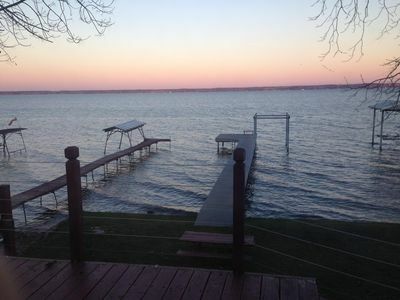 Fish off the dock or use the rowboat with oars and 5 life jackets (one child sized)! 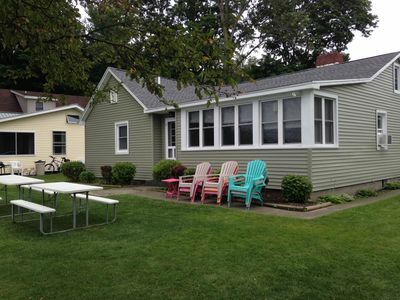 Outdoor furniture, a new gas barbecue grill and a picnic table are added. You can socialize around the brick fire ring with complementary firewood on the beach for campfire songs, stories and toasting those marshmallows! A perfect ending to the day is the moonlight across the water! 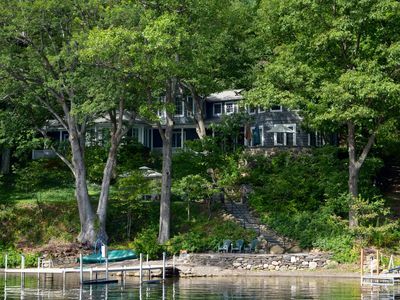 This cottage is very PRIVATE! The ONLY clearly visible houses are those that you can see across the lake. Generous parking beside the road is also available. KITCHEN with electric oven-range, refrigerator-freezer, dishwasher, coffeemaker, crock pot, blender, Foreman grill, toaster, microwave, pots and pans, dishes, glasses, cups, flatware and cooking and serving utensils! Just about everything you could want to make meals and feel at home! There is also an enclosure with a full-sized washing machine. 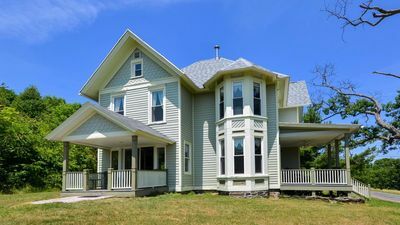 The cathedral ceiling LIVING ROOM and ENCLOSED PORCH include a sofa and chair, a TV, a SLEEPER COUCH which converts to a comfortable double bed, and a circular table for eating with chairs for 6. BEDROOM TWO offers TWO TWIN BEDS arranged as a KING bed. There is also a LOFT with 2 twin beds! - Access by ladder from bedroom #2. FULL BATHROOM has a tub and shower! 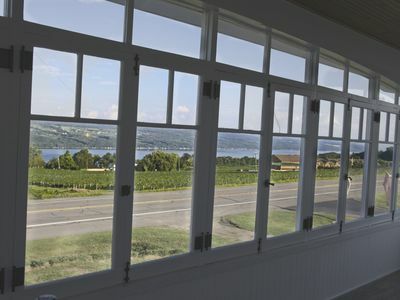 -window fans to keep the cottage pleasantly cool. -pillows and blankets. Just pack your sheets and towels! - Brick fire pit on the beach with complementary firewood. - Paper goods, soaps, cleaning supplies all provided. - Shed on beach for changing, storing fishing gear, etc. 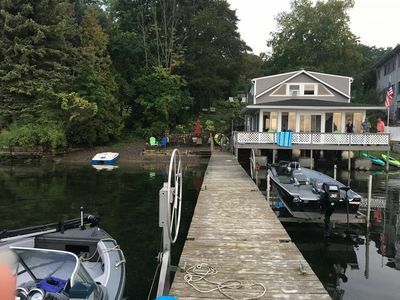 * Cottage is on public water and sewer system. 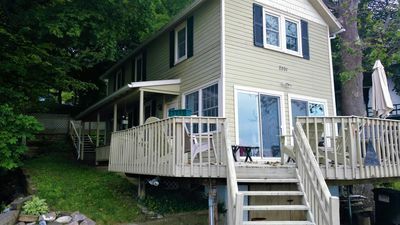 * Being on the hillside of Keuka Lake -- there are steps! 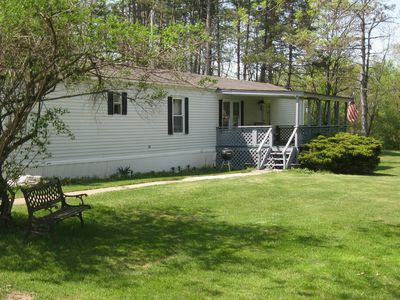 Approximately 17 steps from parking into the cottage and 40 steps from the cottage down to the lakefront. * Family dogs welcome with signed pet waiver and deposit! We do ask that they have flea protection, for the protection of the cottage and future renters! RATES & FEES: - ask about off-season rates OR reduced rates for longer stays! Occupancy Tax mandated by the county at the rate of 4% of the total rent. 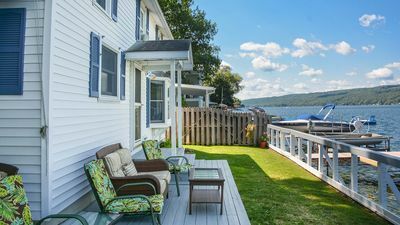 **Cottage is managed by a local Property Management and Vacation Rental Company -- Connect A Service Properties. 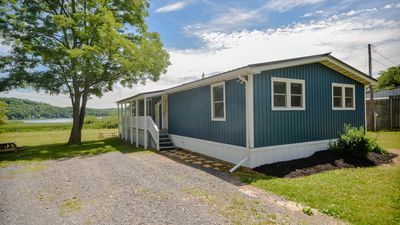 They are located about 5 miles from the cottage and will be available to you for check in and check out, as well as responding to any questions or concerns. 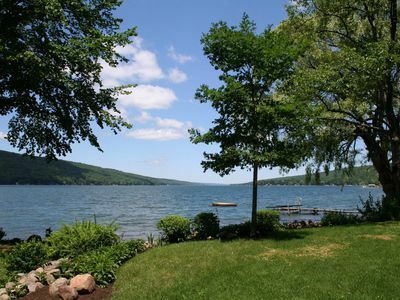 Hidden Treasure - Spectacular Custom Keuka Lake Home! 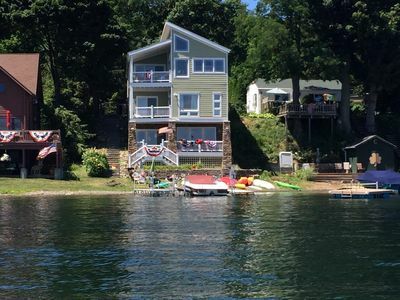 Kickback on Keuka! Aug 10-17, one week left. BOOK IT! 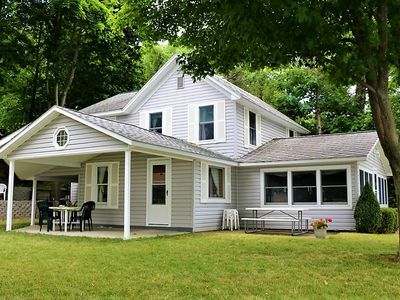 Nature's Crossing - Newly Remodeled; Overlooking Keuka Lake and State Park! Your exclusive retreat from reality... Your own private sanctuary. 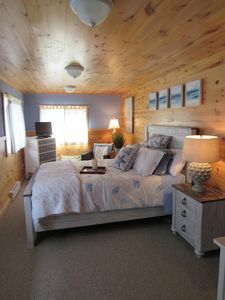 On the Beach Year Round Chalet NEW OWNERS!